Real Madrid seem to have moved over from David de Gea! Hello and welcome to Sportskeeda's latest transfer news and rumours roundup. Today's stories feature the latest update on some of the major happenings in world football which may change the complexion of a few clubs. So let's head right in and take a look at the major happenings across Europe that made headlines on June 16, 2017. 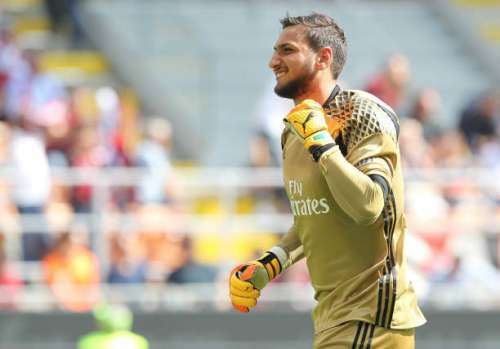 AC Milan and Donnarumma's agent confirmed last night that the teenage star will not sign a contract extension with the Italian club. This has opened the gates for potential suitors to come into the picture with Sky Sports Italia reporting that Real Madrid are the front-runners for his signature. Paris Saint-Germain are also interested in the custodian but it is believed that the player will accept a move to Spain over France. Mauricio Pochettino has addressed the need to sign a wide player this summer with Daily Mirror claiming that Spurs are close to putting an official bid for Lazio's Keita Balde. The 22 year is a highly rated player in Europe and the likes of Liverpool and Juventus are also keeping tabs on him. It is rumoured that Keita is waiting for Juventus to make a move but with the Bianconeri close to signing Douglas Costa, Spurs have received a window to swoop in and sign him. The Mirror also reports that Spurs are ready to bid £30 million for the Lazio man.